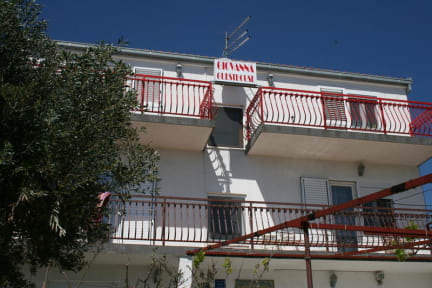 Giavanna Guesthouse is a very nice and quiet place, is located 20 minutes by bus from Split and Trogir, the sea is only a 10 minute walk. The rooms all have a beautiful view of the sea or to the mountains. The owner, Giovanna, is friendly and helpful as well as sympathetic! For the last day of stay she offered us a delicious lunch! 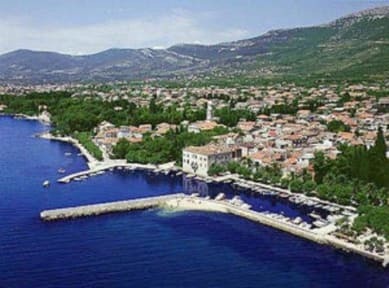 Kastela is a nice village where there are sometimes orchestral concerts or local songwriters, and there is a pleasant promenade. Happy holidays! Very kind family, awesome rooms and absolutely not expensive, but position it's good only if you move by car or by motorbyke ( pay attention to the road gravel! ).